Did you know that ear infections are the number one reason dogs go to the vet? One of the best ways to prevent any major ear problems in your dog is by catching them early. Make it a part of your regular grooming routine. 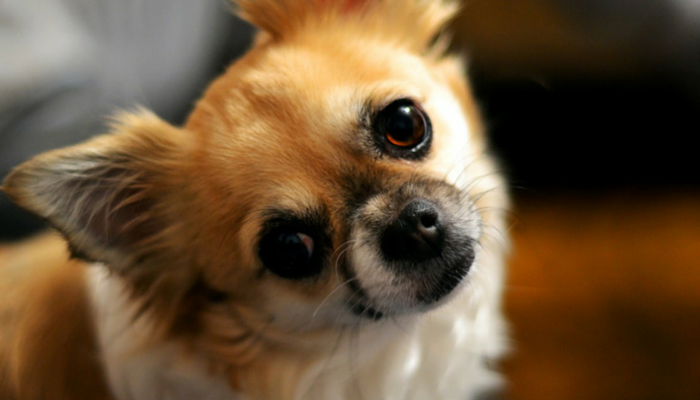 Once or twice a week examine your dogs ears to make sure everything looks & smells normal. How Often Should You Clean Your Dogs Ears? There isn’t a set schedule for how often you need to clean your dogs ears; the rule is to clean them when they get dirty. If the inside of your dogs ears look and smell clean you don’t need to clean them. If your dog gets a lot of wax build up or has had a lot of ear problems in the past you’re going to want to check their ears daily. Wax or debris left inside your dogs ears is the foundation to developing an ear infection. If your dog isn’t prone to infections, and they don’t seem to have a lot of wax buildup you can check them weekly. The easiest way to remember to check is by making it part of your grooming routine. Look in your dogs ears and watch for signs of buildup; preventative monitoring and cleaning can reduce the chances of developing an infection. If your dogs ears smell bad, or if he’s scratching at them or shaking his head he might be suffering from an ear infection. Healthy ears don’t have an odor. You should contact your veterinarian so they can properly diagnose and treat it. They’ll take a sample from your dogs ears and examine it under the microscope to see which microorganisms are present. If your dog has black or dark brown ear wax you should call the veterinarian; this is a common symptom of ear mites. Untreated ear infections can lead to permanent damage and hearing loss. There are a couple factors that increase the likelihood of your dog developing an ear infection. If your dog has long, floppy ears they’re more likely to trap dirt and moisture due to the lower amount of air flow reaching the ear canal. Cocker Spaniels and Bassett Hounds are genetically predisposed to developing ear infections because of their pendulum ears. You’ll want to make sure you check their ears once a week to make sure they’re staying clean. 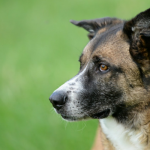 Dogs with a lot of inner ear hair are also more likely to trap excess dirt and debris in their ears. And dogs that live in a humid environment are more susceptible to developing ear infections. Make sure you monitor them regularly to catch any excess wax or debris building up. Dogs that swim often can develop ear infections; make sure you dry your dogs thoroughly when they’re done swimming. Unfortunately your dog is probably not going to be interested in having his ears inspected and cleaned. It’s not one of my dogs favorite activities. But despite your dogs lack of enthusiasm for ear cleaning it’s part of grooming maintenance that needs to be done from time to time. If your dog isn’t used to having his ears handled or cleaned you might want to ask for assistance, it’ll make it much easier on you. Ear infections are the number one reason dogs visit the veterinarian. 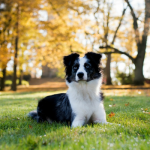 The ears are the perfect environment for bacteria and yeast to grow; routinely checking for signs of buildup will reduce the chance of your dog developing an ear infection. You’re going to want to use cotton balls or gauze pads. Q-Tips have a hard end which can make your dog uncomfortable, and if you go too deep you can rupture their ear drum. You have a couple choices when it comes to choosing a ear cleaning solution for your dog. You can buy them online or get some from your veterinarian’s office. We use Epi-Otic because it was recommended by my veterinarian as a mild routine cleaning solution that wouldn’t cause irritation. Water and hydrogen peroxide. Use with caution; ears may become irritated with excess use of hydrogen peroxide. Vinegar and water. Mix one part vinegar and two parts water. 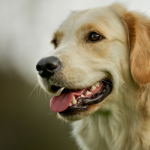 As with peroxide some dogs may be sensitive to vinegar so watch for signs of irritation. Organic apple cider & water mixed in equal parts. You’re going start by dipping your cotton ball, or gauze wrapped around your finger, into the cleaning solution. Start the cleaning by gently rubbing the cotton ball around the inside of your dogs ear flap. Replace the cotton ball as needed as you pick up dirt and debris. Start from the outside and go inwards, only cleaning the areas you can reach and visibly see. Don’t push the cotton ball into your dogs ear canal, this can lead to permanent damage or hearing loss. Stop if you feel any resistance, you only want to clean where you can easily reach. *You may want to clean your dogs ears in the tub or outside; when your dog shakes his head the excess solution could end up on your walls. Shiner is like a walking ear infection sometimes I swear… I like epi-otic, but right now we are using a Tea Tree cleanser from Only Natural Pet. Thank you so much for sharing great tips. I enjoyed that video as well! I think some people think that cleaning dogs ears is much harder then it actually is! Have you ever head of Zymox? We use the ear solution for our dogs and it works wonders! They’re an enzymatic product that requires no pre-cleaning at all because the enzymes work as a catalyst in the dirty/infected environment. It’s so much easier than having to clean the gunk out beforehand. They’re definitely our favorite product to use since they also have an enzymatic shampoo and rinse that can be used as as a leave on in between washes like a lotion and it really helps our puppy’s itchy skin (we live out in the country so they’re always picking something up that causes them to itch). Love your blog and articles! I haven’t heard of it, I’ll have to check it out. Thanks.